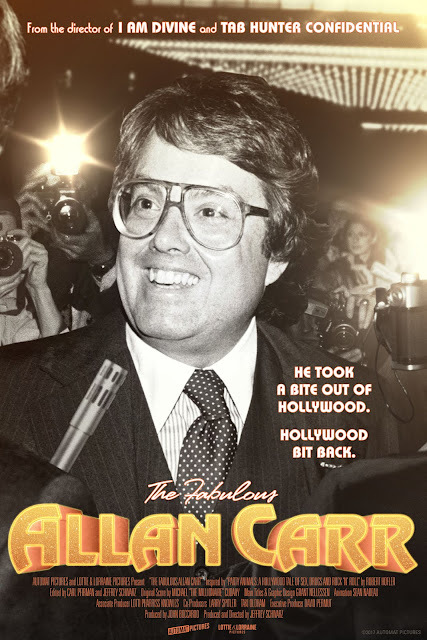 A career in Hollywood can have the greatest of highs and the lowest of lows, and nobody knew this better than Allan Carr who reached the highest pinnacle of success and adulation from producing one of the greatest movie musicals of all time to then falling into a deep depression and career failure after producing one of the worst TV shows of all time. 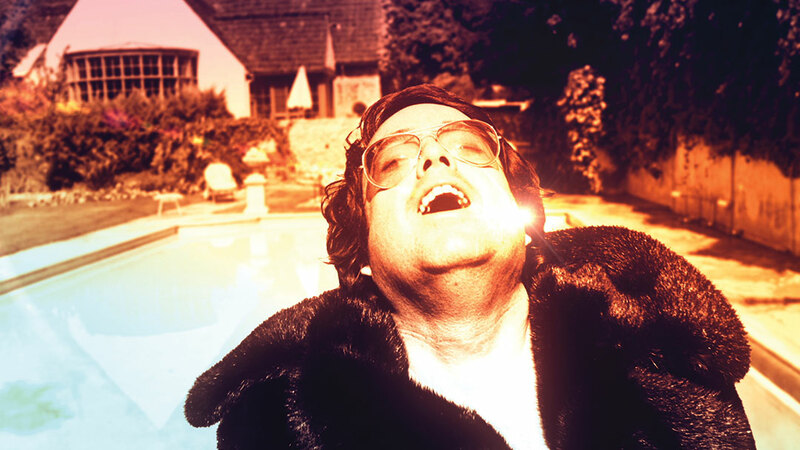 His story can now be relived in a fabulous documentary entitled The Fabulous Allan Carr. 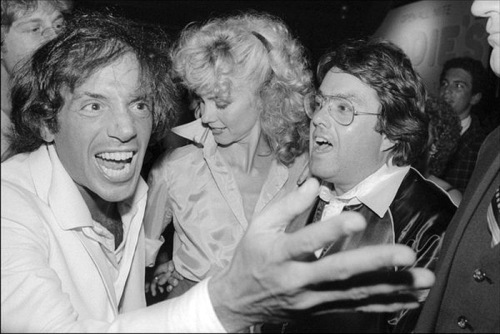 A sometimes movie producer (he had hits with "Grease" and flops like "Can't Stop The Music" and "Grease 2"), a sometimes talent manager (managing actors Tony Curtis, Peter Sellers, Rosalind Russell, Dyan Cannon, Melina Mercouri, and Marlo Thomas, and turned Ann-Margret into a Las Vegas mainstay) a sometimes Broadyway producer (he took "La Cage Aux Folles" to Broadway for multi-year runs), a star-maker, (Carr is credited for having discovered numerous celebrities, including some such, who also became his clients, as Olivia Newton-John, Mark Hamill, Michelle Pfeiffer, Steve Guttenberg, and Lisa Hartman) and one of the most powerful publicists in town (Carr created the "For Your Consideration" Oscar campaigns in a pre-Twitter Hollywood for films like "The Deer Hunter," which brought home Oscar for small virtually unknown films.) 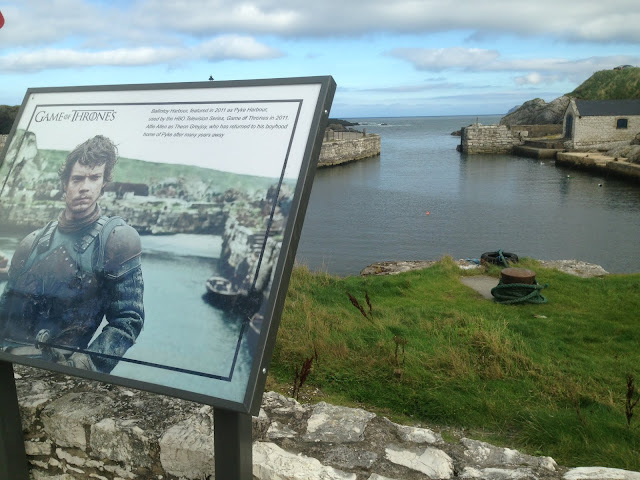 This guy did it all. 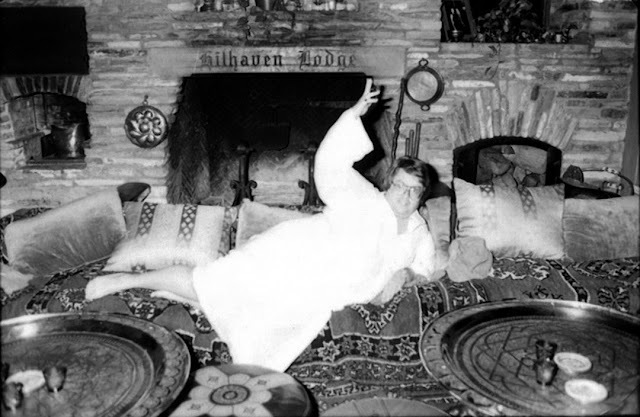 Oh....and and he loved to have parties. Everybody who was anybody wanted an invite to the disco at Carr's Benedict Canyon home (Hilhaven) because these audacious, hedonistic, almost Babylonian parties defined the era with two simple rules - RSVP in advance and check your inhibitions at the door. His soirees unified stars young and old, conservative and liberal, gay and straight. 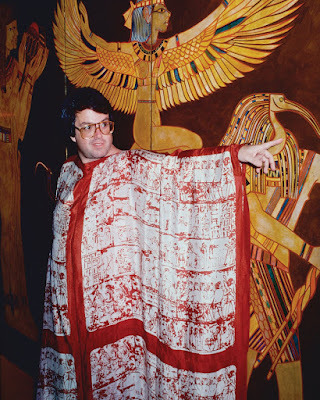 His is a study in excess – an unfettered, uninhibited explosion of luxuriance the likes of which Hollywood had never seen...and introduced everyone to the male caftan. Carr's parties also moved past Hilhaven. 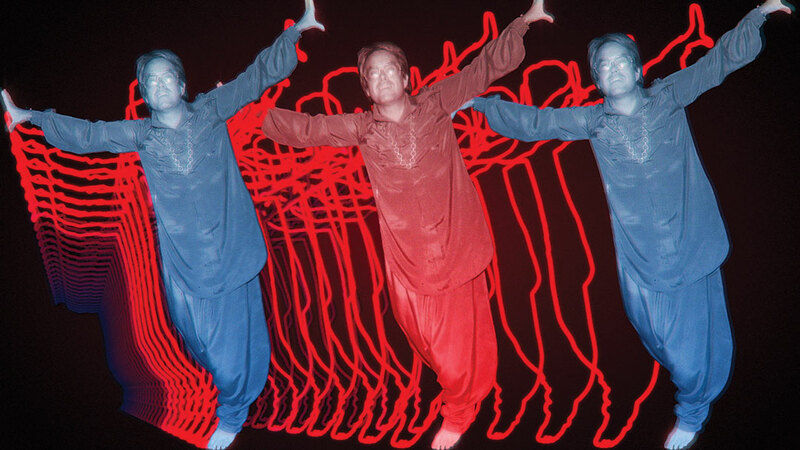 Allan took movie premieres and turned them into events, hosting multiple themed premiere parties across the world in unusual locations. 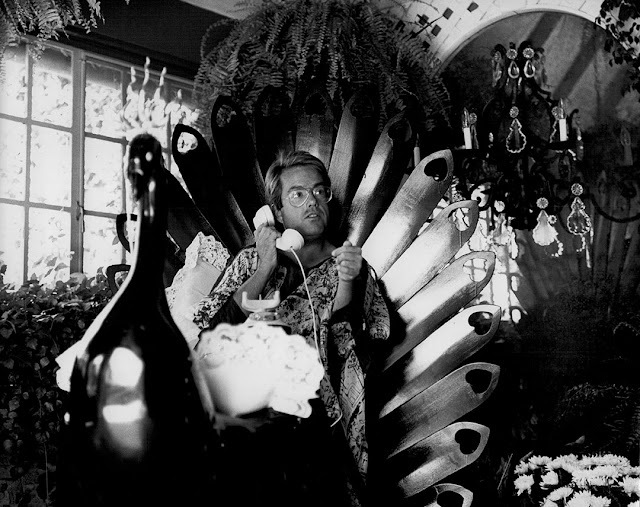 He once had a premiere in a NYC subway station, while another event, a black-tie affair for Truman Capote, took place in an abandoned Los Angeles jail. 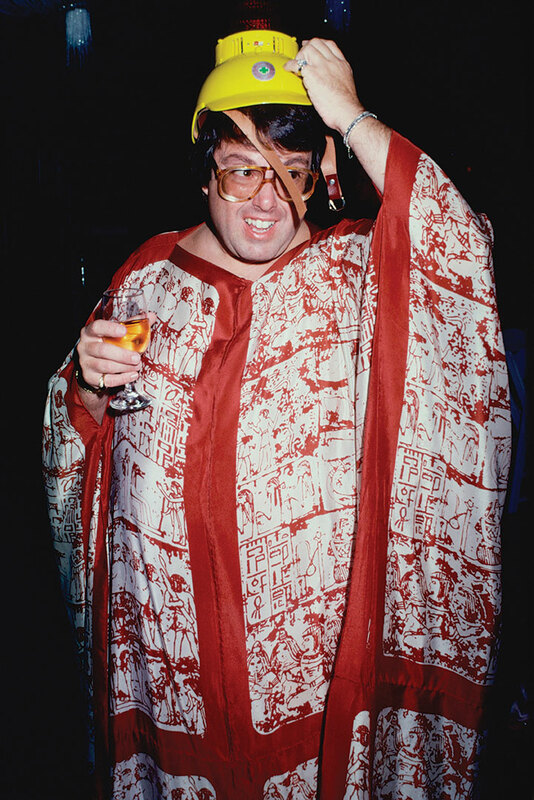 In an era of Studio 54, his parties stood out. Then after ONE night, it all came crashing down. 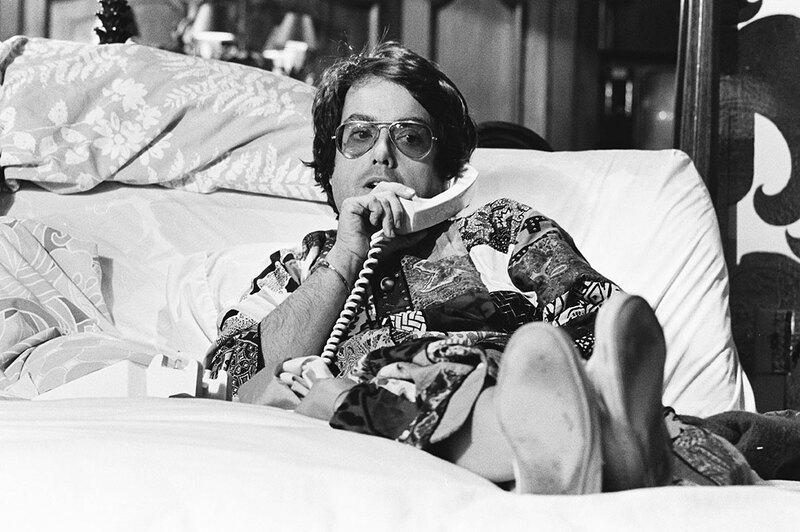 Allan was asked to produce the "61st Academy Awards," which he saw as the pinnacle of his entire career and fixated on creating the biggest opening number in history...a moment for Allan to shine brighter than the Hollywood stars (this is a guy who changed his last name from Solomon to Carr...cause Carr rhymed with Star). 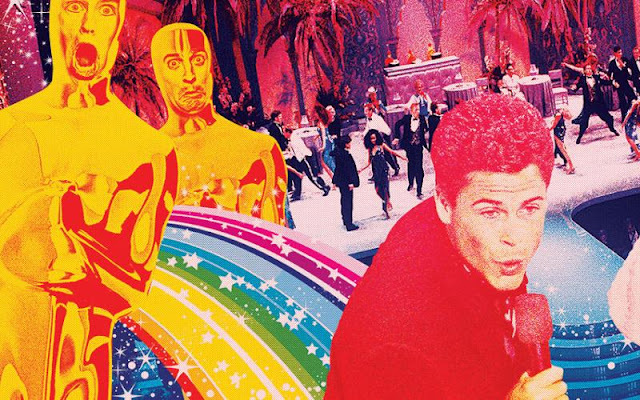 Carr made a lot of changes to the Academy Awards that year that are still used today. He decided to air the red carpet live for the first time as part of the broadcast, was the first producer to have a host free program, but included pairs of celebrity presenters which was never done before, and the producer who switched the line from "And the winner is..." to "The Oscar goes to..." But nothing could stop the train wreck that was the opening number. 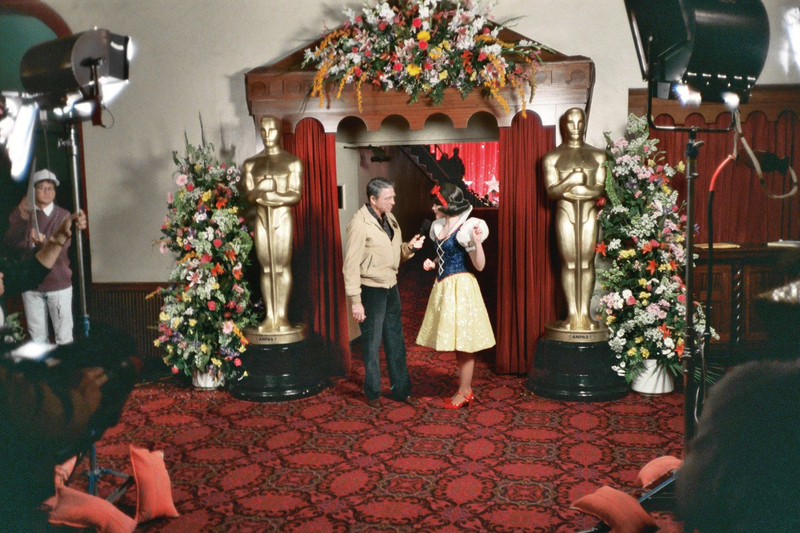 The lengthy opening number started with Army Archerd "interviewing" Snow White (Eileen Bowman) before she danced her way through the Shrine Auditorium, chirping a high-pitched take on "I Only Have Eyes for You" and greeting such mortified stars in the audience as Tom Hanks, Dustin Hoffman, Michelle Pfeiffer and Sigourney Weaver. As the sketch went on for 15 agonizing minutes, dancing tables wackily re-created the post-Prohibition Cocoanut Grove nightclub, Merv Griffin performed his 1950 hit "I've Got a Lovely Bunch of Coconuts," and a befuddled parade of frail screen stars emerged before Rob Lowe took the stage as Snow White's "date" to belt out a parody duet of "Proud Mary." If you don't remember that long opening number you can see it HERE. Compared to today's show, I think this is one of the better ones...but hey, I LOVED "Grease 2" so what do I know. The Academy found the show insulting and the press panned it. 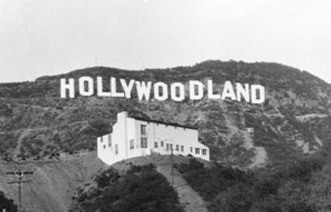 The New York Times declared that the show had earned "a permanent place in the annals of Oscar embarrassments" and in an open letter, 17 prominent Hollywood figures, including past Academy president Gregory Peck, proclaimed the ceremony "an embarrassment to both the Academy and the entire motion picture industry. 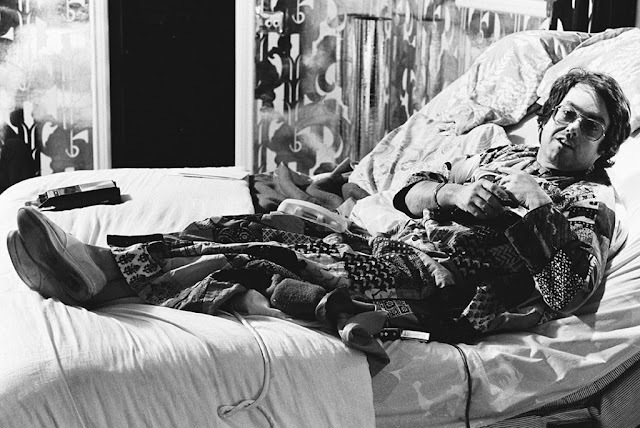 It is neither fitting nor acceptable that the best work in motion pictures be acknowledged in such a demeaning fashion." The morning after the show, instead of Carr's phone ringing off the hook with customary kudos, Hilhaven was virtually silent. Carr was shunned. A few days later, Disney sued the Academy for copyright infringement for inviting Snow White to its ball, forcing the Academy to make a formal apology. All ironic since that broadcast actually saw the best ratings the Oscars had seen in five years. 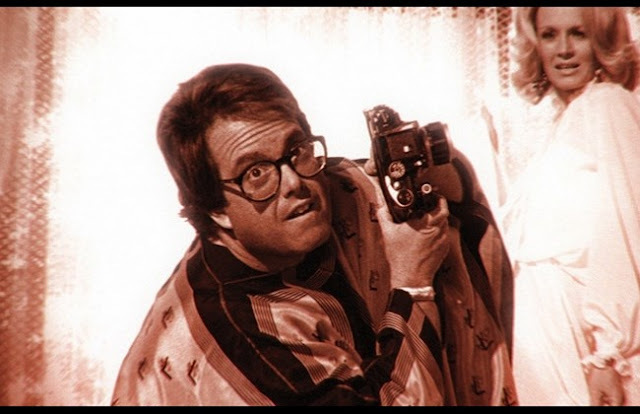 It was a crushing defeat and Allan Carr became a social leper refusing to leave his home making this one-time flamboyant super star a virtual recluse. Allan Carr never recovered from the Oscar fallout. 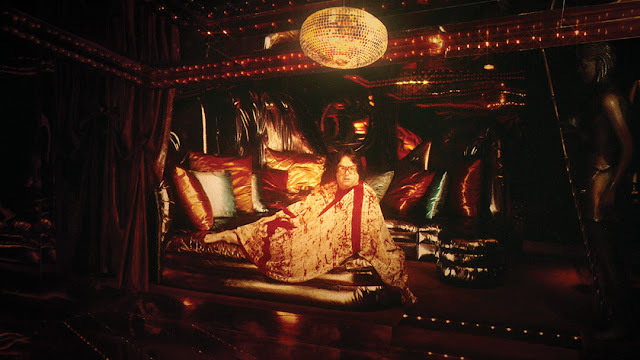 His health declined and on June 29, 1999, the party was over for Allan Carr. He was dead. 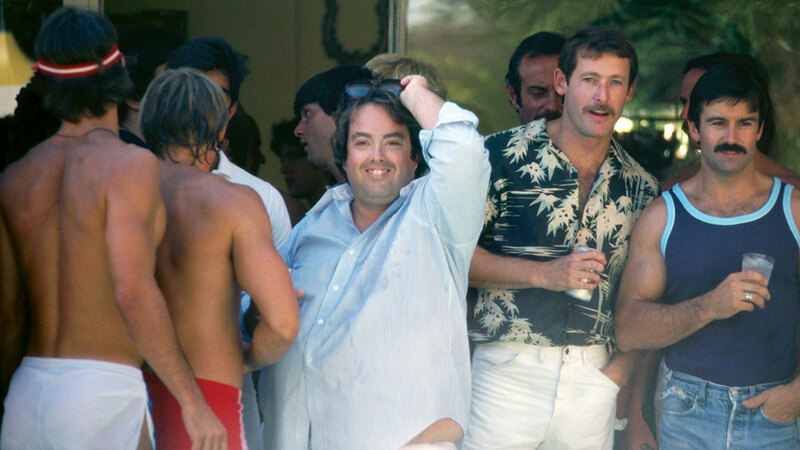 The Fabulous Allan Carr is a documentary from Emmy-award-winning Jeffrey Schwarz (director of "Tab Hunter Confidentiall" and "I am Divine") that tells Carr's story by the people who knew Carr best – friends Bruce Vilanch, Lorna Luft, Nikki Haskell, and Alana Stewart, Randal Kleiser (director of Grease), Maxwell Caulfield (star of Grease 2), columnist Michael Musto, studio exec Sherry Lansing, Steve Guttenberg (star of "Can't Stop The Music"), Randy Jones of the Village People, Connie Stevens, Marlo Thomas, the late Robert Osborne, and Brett Ratner (the current owner of Carr's Hilhaven mansion). The DVD and streaming hit stores June 5, 2018. Allan Carr really did put the "show" into show buisness. He is an unsung hero to anyone who strives to overcome their insecurities and throw what society deems a defect back in its face, and his story is told beutifuly in this documentary. The Fabulous Allan Carr restores Carr to his proper place in the gaudy, wonderful, and sometimes sinister world of show business...and that is why we ❤️it.